Please note that the Cruise comes with the v13/p4000 propeller (1954-00). 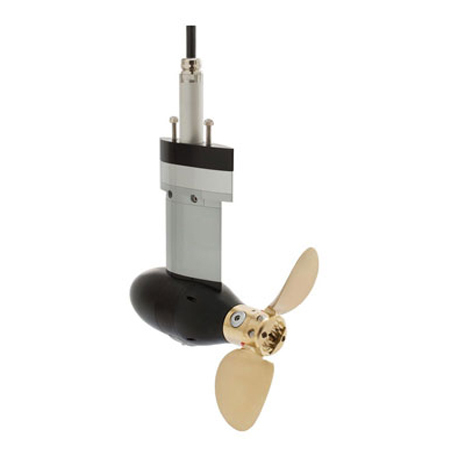 A v13/p4000 folding propeller (1932-00) is available as an accessory. For sailboats up to 3 tons, we recommend the Cruise 2.0. The Cruise 4.0 easily propels up to 4 tons. The Cruise 10.0 is suitable for motorboats and sailboats with a weight of up to 10 metric tons. Additionally, the integrated battery electronics of the Power 26-104 are designed to communicate with the on-board computer, meaning that the values provided by the battery such as remaining range and capacity are always exact. The on-board computer, which is integrated in the remote throttle with the Cruise R/FP and in the tiller with the Cruise T, analyses information from the motor and combines it with GPS data.